While at the Cotton Pickin’ Fair last Saturday, I made a few purchases. I will share one of them with you now. 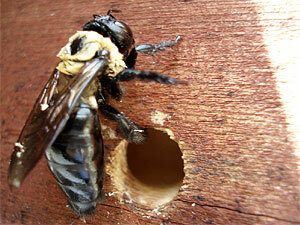 At my house, I have a problem with Carpenter Bees. They love my screened porch as much as I do. In fact, they love it so much that they like to eat it. 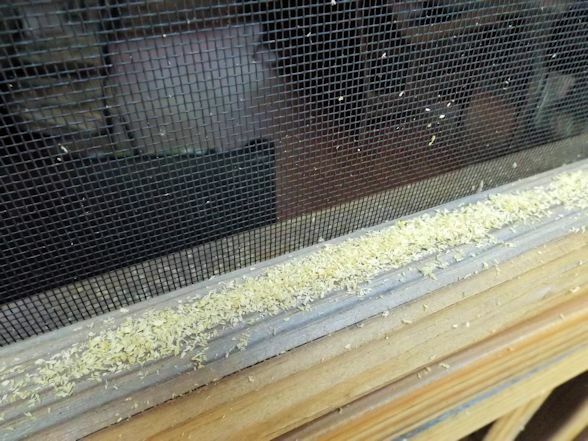 They are sloppy eaters and leave much of it behind in the form of sawdust. Lots of sawdust. So I was at the Cotton Pickin’ Fair and this kindly older gentleman in overalls was tapping away on some wood and beckoned me into his booth of lies. 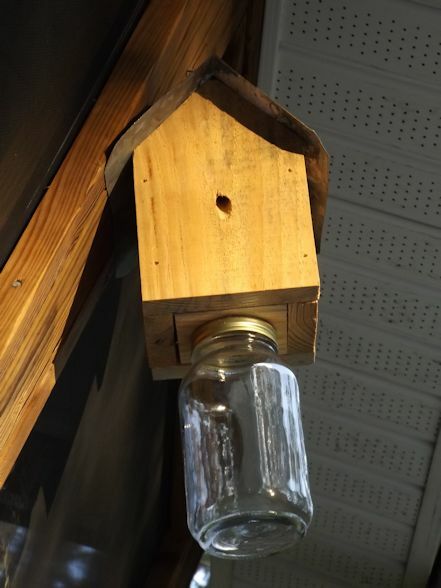 He said his Carpenter Bee Trap would take care of all of my pesky flying menaces. I’m a sucker for a handy looking guy with tools so I bought one. Now, scroll back up and see how many bees I have caught. NONE. You don’t even need to scroll back up because I just told you. Instead, the bees are dancing around their lairs with a sassy little two-step — although I guess for insects it’s a six-step. The moral of the story is that when you are tempted by men in overalls, go and get a funnel cake instead. You will save money and also save yourself from the inevitable buyer’s remorse. Dang! 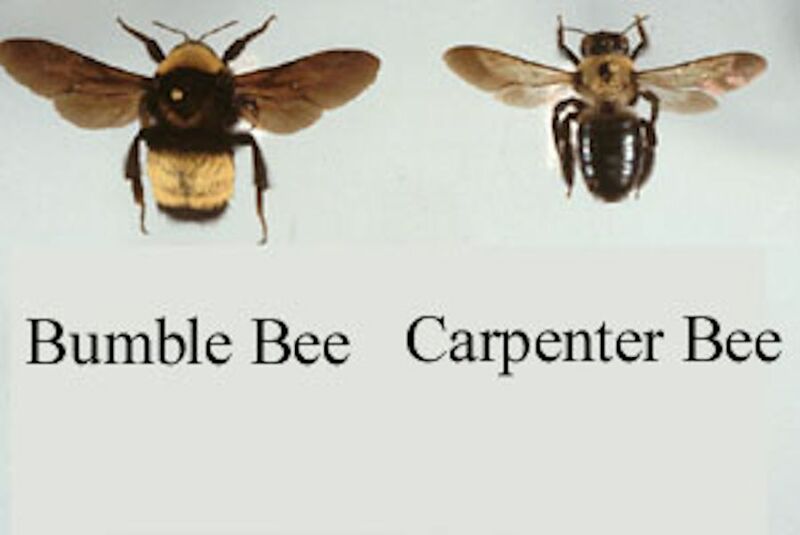 When I started reading this, I thought you had the silver bullet for getting rid of those pesky carpenter bees. We have them under our eaves at the lake. They drive us crazy, and do make a real mess! I’m wondering if it will work if I put it out earlier in the spring when they are hunting for their houses. I’m also wondering if they actually will use holes already made. Seems to me like they are always making new ones. I read on the Internet (you know they can’t put anything on the Internet that isn’t true LOL) that injecting WD 40, using the straw that comes with it, into the hole will kill the bees as well as larva. I will definitely try that!!! My brother used to sell WD 40 so we always have lots of it around. Your post always have a way of bringing a smile to my face! Thank you!!! 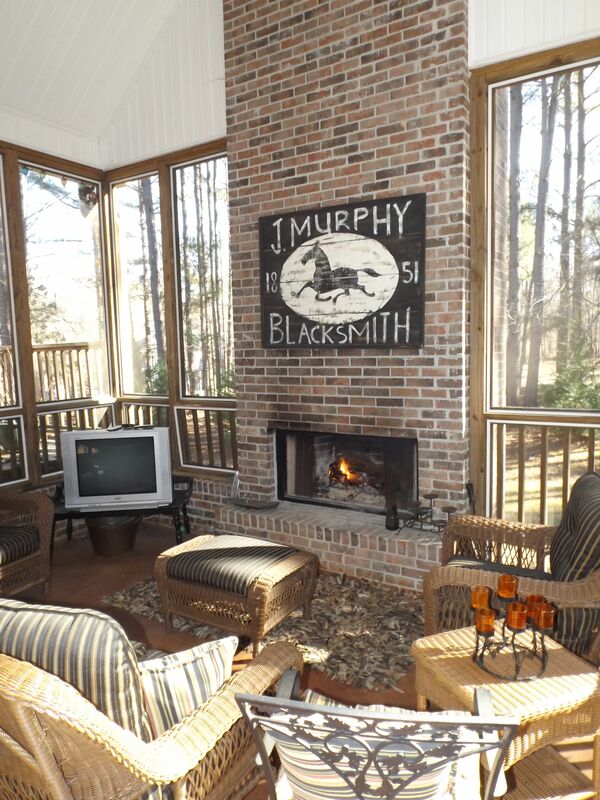 Sorry about the destruction to your amazing porch which BTW I love. Thank you! Everyone’s replies bring a smile to my face! This is so funny! It made me laugh so hard. 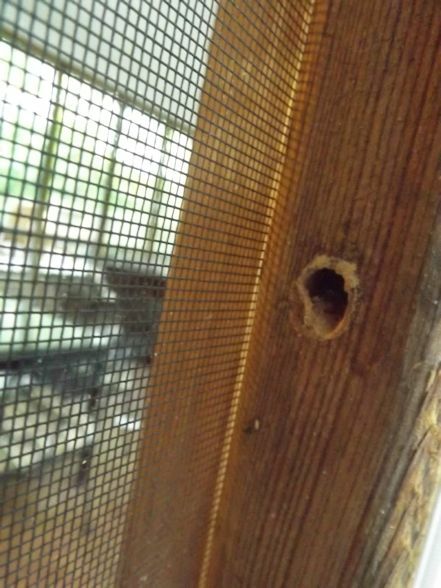 I Used to have a carpenter bee’s favorite place – my front porch. Couldn’t get rid of them.